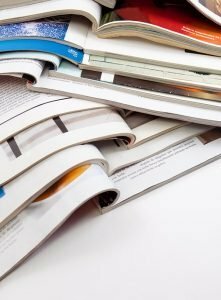 Printed Catalogues: What’s Old is New, Again! Thanks to technology, modern customers order online, over landlines, and from their smartphones. With so many e-choices, it’s no wonder some businesses ask, why use printed catalogues? But the fact is that catalogue marketing is still thriving for businesses around the world. Retail giants like Amazon and IKEA rely heavily on catalogues, and customers are still drawn in by these printed tools. While it might be expected that the ecommerce boom would cause traditional marketing mediums like print catalogue to become extinct. In fact, the print catalogue revival demonstrates that old approaches don’t die, they evolve. At Not Just a Copy Shop, we can help you use print catalogues as a key part of your comprehensive marketing strategy!